Polk State College has received $1.2 million from the U.S. Department of Labor to provide accelerated training in advanced manufacturing, helping to ease the persistent workforce shortage faced by area manufactures. “This is exciting news for Polk State College. With this $1.2 million award, we will put Polk County residents back to work, fill a gap for our local manufacturers, and stoke the county’s economic engine. 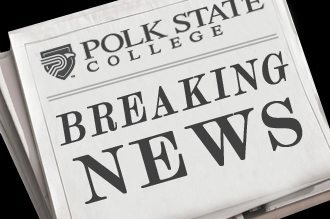 We exist to meet workforce needs and train our students for in-demand jobs, and the work we’ll do with this grant is a perfect example of just that,” said Polk State President Eileen Holden. During an event in St. Petersburg on Wednesday, U.S. Secretary of Labor Hilda Solis announced the funding of $500 million in grants to community colleges and universities across the country to develop and expand innovative training programs. The grants are part of the Trade Adjustment Assistance Community College and Career Training initiative, which promotes skills development and employment opportunities in fields such as advanced manufacturing, transportation and healthcare, as well as careers related to STEM education (science, technology, engineering and math). Included in the nationwide funding is $15 million for Florida TRADE — Transforming Resources for Accelerated Degrees and Employment in Advanced Manufacturing. St. Petersburg College was the lead institution in the grant proposal that involves a dozen institutions from across the state, including Polk State College. Through Florida TRADE, the consortium of colleges will combine their resources and work with local workforce boards, manufacturing associations, economic development organizations, consultants and employers to train unemployed workers and workers who are at risk for losing their jobs as a result of foreign trade, as well as veterans, dislocated and incumbent workers. The training those workers receive will help them fill the persistent — and growing — workforce needs of the state’s manufacturers. As manufacturing has adopted new technologies, the industry demands higher levels of education and training. Finding qualified workers to fill those jobs is already a challenge, and yet the need is only growing, with the state expected to add nearly 13,000 manufacturing jobs by 2014, according to the Florida TRADE proposal. Florida TRADE will create a training ladder to address needs of manufacturers. The first rung of that ladder will be the Florida Ready to Work credential, a state program that certifies a student or jobseeker possesses certain fundamental job skills, such as English comprehension and the ability to gather and interpret data. The next rung of the training ladder will be the Certified Production Technician credential through the Manufacturing Skills Standards Council, considered foundational training in the manufacturing industry. 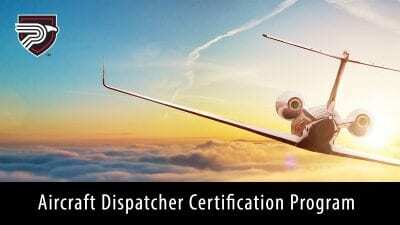 The CPT program consists of five training areas, including Safety, Quality, Practices & Measurement, Manufacturing Processes & Production, Maintenance Awareness and Green Production. After the CPT level, trainees will receive specialized instruction in a specific area of manufacturing and complete an internship. Polk State has not yet determined its area of specialized training, but it will based on specific needs of Polk County manufacturers; Polk County’s myriad manufacturing employers include The Mosaic Company, Coca-Cola Enterprises, MaxPak and QMI, all of which have expressed their support of the Florida TRADE initiative and the work Polk State will do through the grant. Florida TRADE training will involve classroom and computer-based work, as well as the internship, and will take six months to complete. Training will begin in 2013 and will last for two years. “Within six months, we’ll take a displaced worker, help them get multiple credentials and begin them on a pathway to a new career,” said Polk State Engineering Technology Program Director Eric Roe. Polk State has committed to train nearly 300 workers through the grant; approximately one-third will be veterans. Workers who receive the training will earn college credits that can be applied to the College’s Engineering Technology degree program, positioning them for even higher-level jobs in advanced manufacturing. Training to be provided through the Florida TRADE grant will complement training Polk State already provides area manufacturers through its Advanced Manufacturing Institute at Polk State Corporate College.